[SatNews] The COROT scientific satellite ended its mission on June 17th, 2014, after more than seven-and-a-half years of operation in orbit. 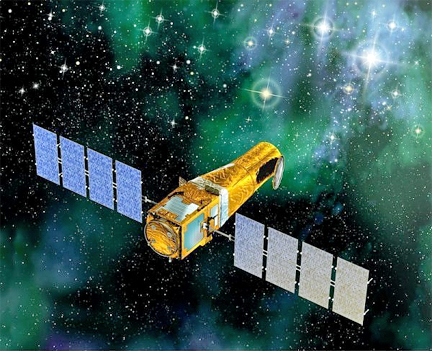 Artistic rendition of the COROT satellite. Developed by French space agency CNES (Centre National d’Etudes Spatiales) and Thales Alenia Space, the satellite was designed to study the stars and search for new planets. The COROT mission's primary objective was to study the internal structure of stars using asteroseismology (observation of oscillation modes, allowing astronomers to indirectly study the core of stars) to determine their mass, age and composition. The second objective was to detect "exoplanets" (planets outside our solar system) by measuring fluctuations in the light intensity received. The COROT mission gave scientists and astronomers a rich harvest of fundamental data to help better understand our Universe. As the industrial prime for this program, Thales Alenia Space provided the Proteus platform, developed in conjunction with CNES, the Corotel afocal telescope, and also integrated and tested the satellite. Launched on December 27, 2006, the mission had a design life of three years. In October 2009, CNES, in agreement with national partners, decided to extend the service life of the satellite by three years, and, in the end, the COROT platform exceeded its design life by two-and-a-half times! Like COROT, several observation and science satellites using the Proteus platform have exceeded their design lives. This was especially true of Jason-1, which lasted 11.5 years, and CALIPSO, which operated for more than eight years. Jason-2 and SMOS are still in service after six and five years, respectively. 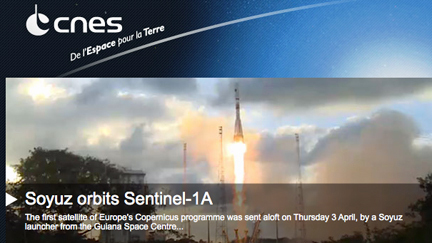 The Thales Alenia Space infosite is located at https://www.thalesgroup.com/en/thales-alenia-space.